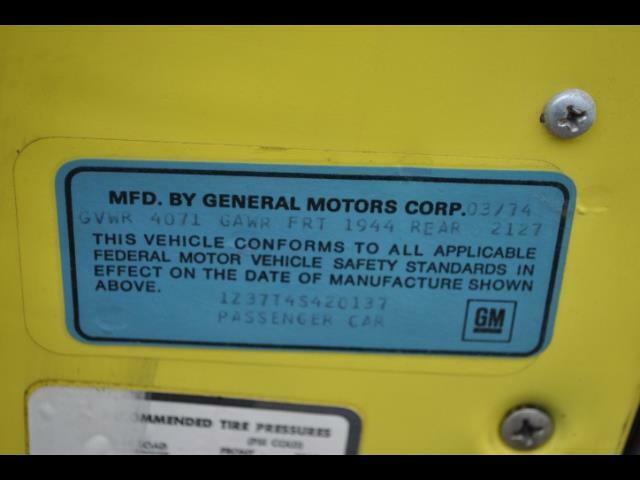 I'm replacing the Blue Driver's Door decal that was missing on my car when I bought it, so I'm looking for the correlation between the date on the blue sticker and the trim tag date code. -What is the approximate window between the two? 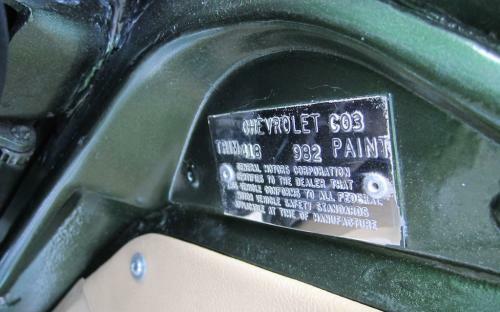 -Is the trim tag always dated earlier than the decal or vice versa? Car in question is a '73 if that makes any difference. Anyone have any valid input on this one? Last edited by Greg; 03-16-2018 at 12:53 AM. Define "valid". Do you have the Judging Guide? The trim tag was attached first and has a month and day code. The sticker followed and is coded month and year. Both would have been attached within a couple of days of each other, provided there was no holiday or a Sunday involved. So unless your trim tag date is near or at the end of the month, it shouldn't be an issue. 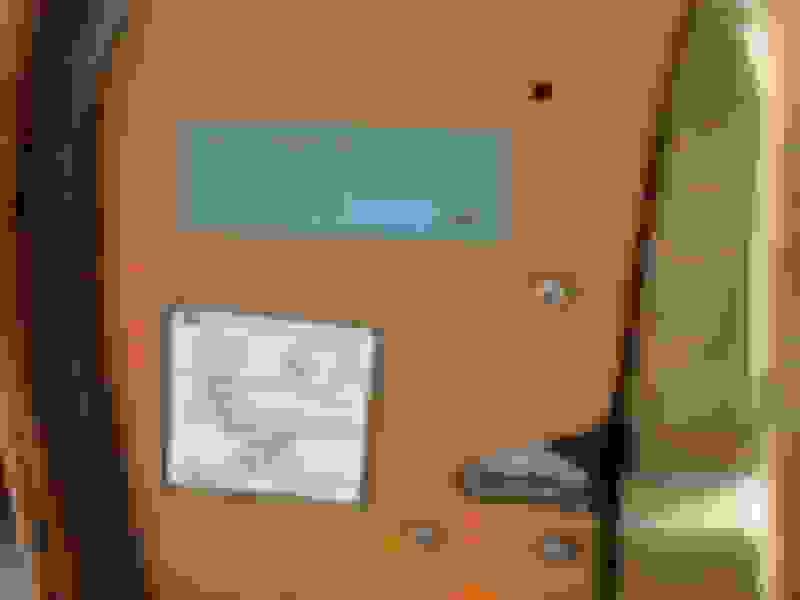 A March 31st date code could possibly have an April door sticker. 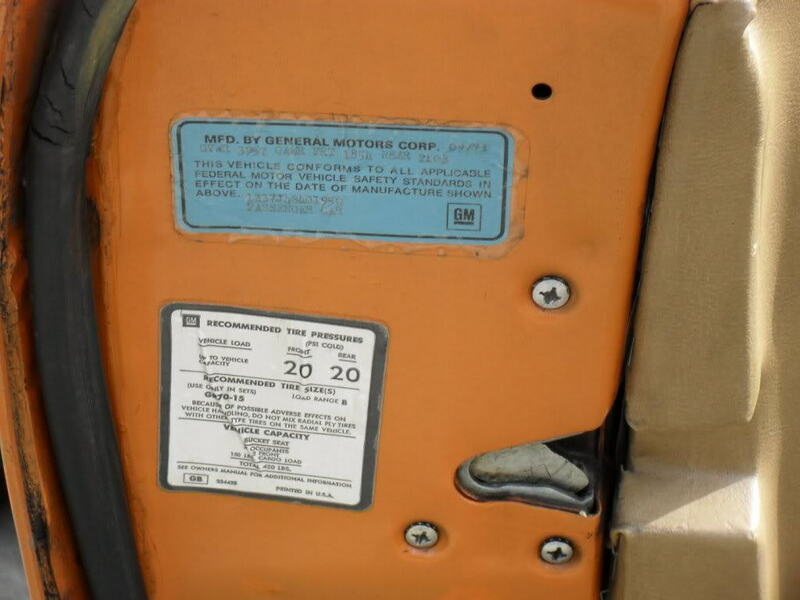 When the Certification Label was first introduced the data on it was put there using the car's Protect-O-Plate. But by the 72 the data was being typed onto the label. I'm not sure just when or where that paperwork was created and when it made it's way to the production line to be put on and in the car. You might check with Tooch to see if he has information about that process on 73 cars. Correct as I understand it. Yes, depending on at which station on the assembly line the certification label was attached. For no real reason, I've always thought the certification label may been installed at the final station on the line where the window sticker, car shipper, and MSO were being prepared. The car was completely finished at that point. Last edited by Paul Borowski; 03-16-2018 at 09:36 AM. My Trim Tag date is J 29 (May 29th) which only leaves two additional working days in the month. Last edited by Greg; 03-16-2018 at 08:35 PM. I would be very comfortable saying that your certification label would have a date of 05/73 on it. My 73 Trim Tag build date is I30 April 30th the last day of the month. My blue door certification label reads 04/73. Last edited by Tooch1; 03-16-2018 at 10:19 PM. The factory worked to group similar tasks so all the pasting would have occurred at the same time, given the worker had all the paperwork to complete this phase of shipping. Just as the first tag station, stamped and attached the trim tag, VIN tag and assigned the key codes to correlate with this particular VIN while also stamping the build sheet with key codes and VIN sequence number.